For the first time in quite a few years, Dennis and I will travel for Thanksgiving. There will be no weeks of mad planning and shopping, notebooks filled with recipes and timetables, and sketches of the table settings. There will be no Dead Poultry Society meeting this year, much to the dismay of friends and family. This year, we will make a quick jaunt – about 24 hours – to visit family in the Berkshires. We will eat at a local Inn and someone else will make the pies. Truth be told, I’m okay with all this. It’s good to change things up. But I began to get a little wistful about turkey, and how good the house smells when Thanksgiving is in the oven. When McCormick Spices wondered what I had in mind for Thanksgiving, it was all the push I needed to make a little pre-holiday dinner. I wanted to scale it all down for two, or four people, just as some of you may be doing this holiday. McCormick’s Facebook page is a great place to check in for zillions of recipes and tips for your holiday fare. Give them a Like, won’t you? Then I had to think think think about the stuffing. Or dressing, or whatever you call it. There’s nothing like porky sausage to liven up the turkey. Admit it, turkey’s a little well, you know… needy. Wanting pork. So, for the stuffing, rather than bake challah and making a giant pan of my vegetarian stuffing, as I do every year, and in keeping with the theme, I took out my Grandmother’s corn pone pan. It’s cast iron, ridiculously heavy, and some sort of fabulous. Like baking in a cast iron pan, the cornbread that emerges is crispy on the outside and tender in the center and LOOKS LIKE AN EAR OF CORN! How cute is that? 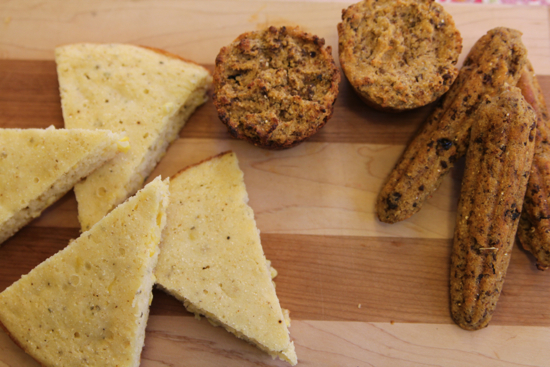 Individual servings of cornbread. Mexican Chorizo added spicy, savory moistness and a chopped chipotle in adobo was that extra something that made it perfect. Marjoram’s herbal tones rounded out the corn flavor and just made me very very happy. It’s easy to make your own chorizo. Refer to this post about grinding. If you aren’t into grinding your own, try the quick chorizo-style recipe at the end of this post. Even if you have a traditional turkey with sagey stuffing, these corn pones are zippy and fun. Add them to a bread basket! I’ll be making them again and again – they’ll be perfect with soup or chili all winter long. Thanks go to McCormick for sending along some wonderful jars of herbs and spices to play with as sponsor of this post. Remove the chorizo from the casings. Crisp the chorizo in a skillet. Break it up using two spatulas or wooden spoons until is is crumbly. Set aside to cool. Mince the chipotle and stir into the chorizo. 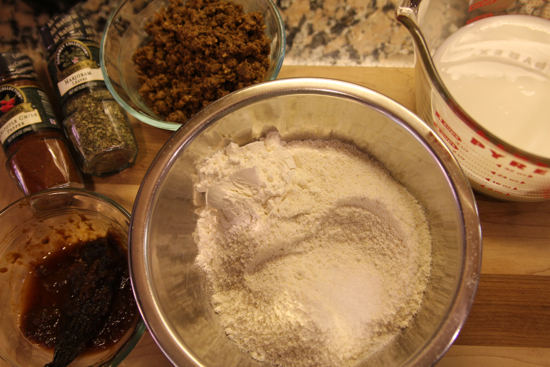 In a large bowl, whisk the cornmeal, flour, baking powder and soda, and the marjoram and salt together. 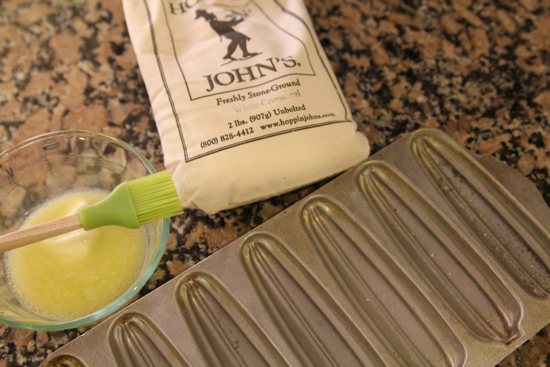 Brush the butter generously into the muffin pan, corn pone pan, or cast iron skillet. Whisk the egg into the buttermilk, then add this mixture to the flour mixture and stir quickly and thoroughly with a wooden spoon. Fold in the chipotle and chorizo. 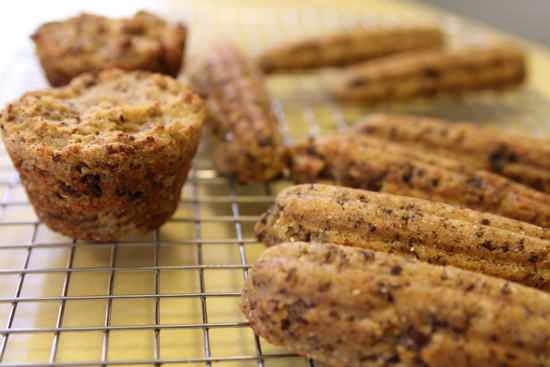 Remove the hot pan from the oven and quickly spoon the mixture into the molds or muffin tins. Fill thoroughly. If using a cast iron pan, just spread the batter around the hot cast iron pan. Bake for 25-30 minutes until well crisped and browned. Cool on a rack briefly, then turn the corn deliciousness out onto a rack. These are especially wonderful when still warm. Reheat in a toaster, if need be. Or for breakfast. For a vegetarian version of this cornbread recipe, omit the chorizo and chipotle in adobo, add 1 c frozen corn kernels, and 1/2 tsp. McCormick’s Chipotle Chile Powder. Grind the pork on the medium die of your meat grinder. Mix together all the dried spices. Add the spices to the onion, add the vinegar, and mix well. With the meat in the bowl of your mixer, or working with your hands, combine the meat, onion, vinegar and the spices well. If you mix with your hands, wear gloves. Make a little patty and cook well in a small skillet, then taste for salt, pepper, and spicy heat and adjust to your liking. Mix again well. If possible, let the chorizo rest for a day or two before cooking with it. This sausage benefits from a little rest. Chorizo will keep in the refrigerator for a week, and in the freezer for up to three months. This sounds amazing. I can’t wait to try it. Your cornbread recipe would go really well with the Apple Bourbon turkey I’m planning for T-Day. I think I may have to steal it! Thanks! PS Dead Poultry Society — love it! What a fantastic idea. I’ve made savory corn bread bread pudding with chorizo, but I never thought to simply add it to the muffins! Love it.